Even if you have never read a note of music before, this video will teach you how. 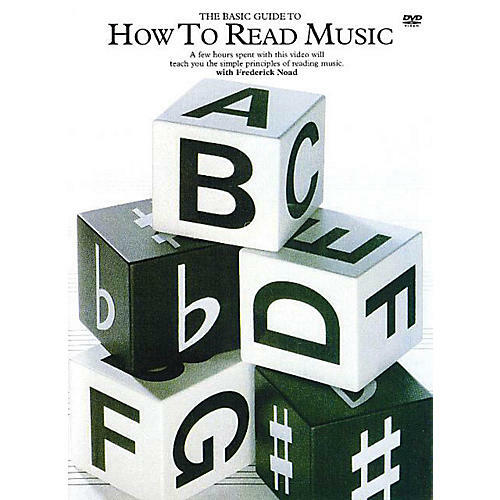 It is excellent, too, as a refresher course if you could read music once but have forgotten how. This self-contained course, ideal for classroom or private teaching, covers: pitch · duration · rests and ties · familiar tunes · new time signatures · sharps and flats · chords and counterpoint · both hands together · and more! Frederick Noad demonstrates all the points made on the video so you know exactly how everything should sound. A special advantage of the video is that you can stop it anywhere and review immediately any point you have not understood. 51 minutes.